I'd highly recommend jumping off the plane and hopping over to the Blue Lagoon to spend the morning relaxing. Nothing beats jet lag better then bathing in silica and a 24 hour open bar. The facilities are heavenly for rinsing off afterwards in preparation for exploring Reykjavik. Stroll the cobblestone streets, eat a hot dog or two and end your first day with a local pub crawl! Get up early and start your roadie off right! 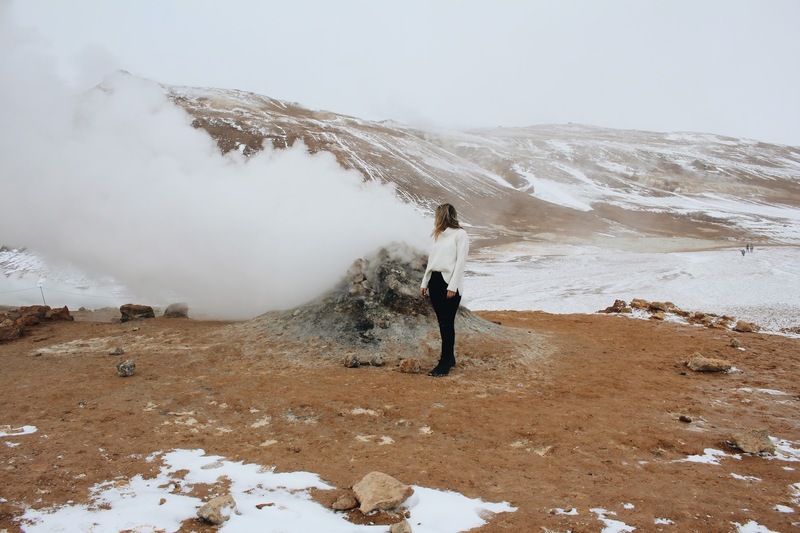 The Golden Circle is an absolute must so here's my personal guide to driving it! It will take about 3 hours to drive total (not including stops) so be sure to leave lots of room to get out of the car and enjoy! Spend the night at Ljósafossskóli, a former boarding school converted into a hostel, for about CAD $62.00. I absolutely adored this place, with its spectacular environment, lake and mountain scenery and the odd glimpse of the Northern Lights during the winter time. The perfect stop along The Golden Circle. Don't forget your rain jacket, today will be a wet one. First up is, Seljalandfoss, the best known waterfall in Iceland and the one you can walk behind during summer. To the left of Seljalandfoss, and within walking distance, is Gljúfrafoss, which is hidden away in a cave between a cracked cliff. Next, hop back in the car and head to Skogafoss, one of the biggest waterfalls in Iceland. Once you're seen enough waterfalls for a lifetime head to Iceland's oldest pool Seljavallalaug for an afternoon dip! Here is everything you need to know about getting there! Spend the night relaxing and treating yourself to some science views from one of my favourite spots in Iceland: The Garage. The Garage was my favourite stay in Iceland! Read why I love this place so much here! Wakey Wakey, no time for breaky. 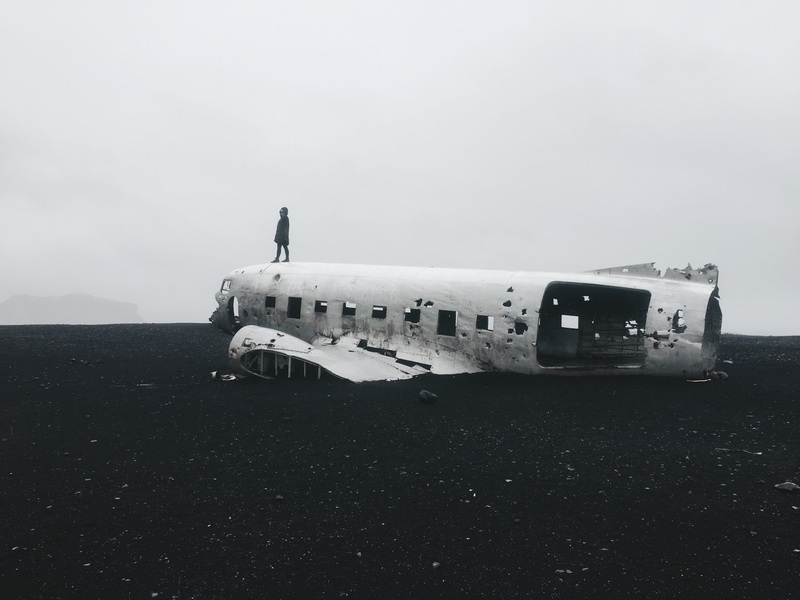 Get en route to the Sólheimasandur Plane Wreck, trust me you want to beat the crowds to get those instaworthy shots (and please, don't get lost on your way over there, read this map before you go). 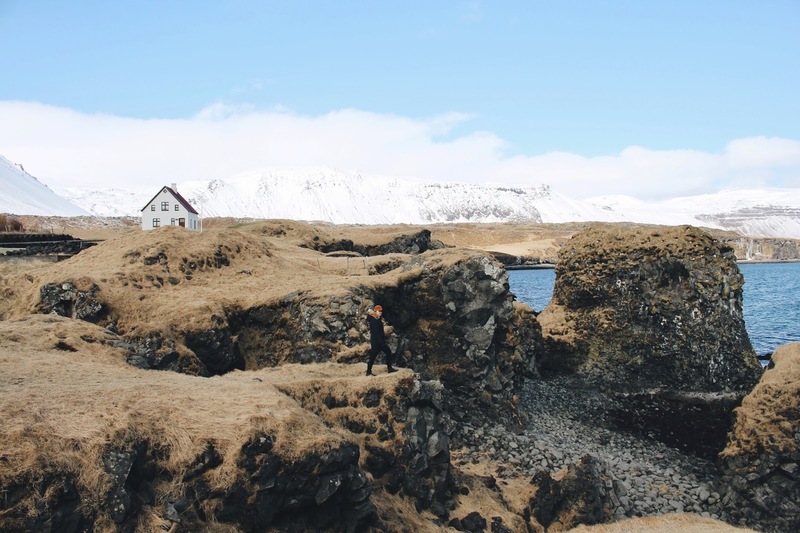 Jump back in the car and head to the Reynisdrangar Sea Cliffs which stand under the Reynisfjall Mountain, at the end of a dramatic stretch of black sand beach. The towering, spiky basalt sea stacks jut out from the ocean 66 meters in air and have a tale of folklore to go along with them. Take a pit stop in Vik for lunch as you pass through onwards to the Fjaðrárgljúfur Canyon. This is one of those places you don't find in the brochures, and don't see many photos of, but that's one of the reasons it's that much more magical when you get there. Last stop of the day, Jökulsárlón Glacier Lagoon, which speaks for itself. Amazing. To eat, stop off in the lobster capital and seaside town of Hofn to grab a bite to eat at Pakkhús Restaurant! You gotta try their Skyr Volcano Dessert. Still. Drooling. By the time you're done with this larger than life day, you're probably not going to want to be driving hours in the dark on winding roads with no guard rails to your hotel (as we did...) so my suggestion and word of advice, would be to find something in Hofn. We stayed at the Hotel Framtid for about CAD $80, which other than being too far, we had a great stay! Today have your pick at any of the Eastern Fjords! The fantastic driving scene starts shortly after leaving Hofn. Look at puffins close-up and see reindeer! The east is the only place in Iceland where you can see herds of wild reindeer roaming about, it's true! By now most people would have u-turned back to Reykjavik, so be prepared for the road conditions ahead. 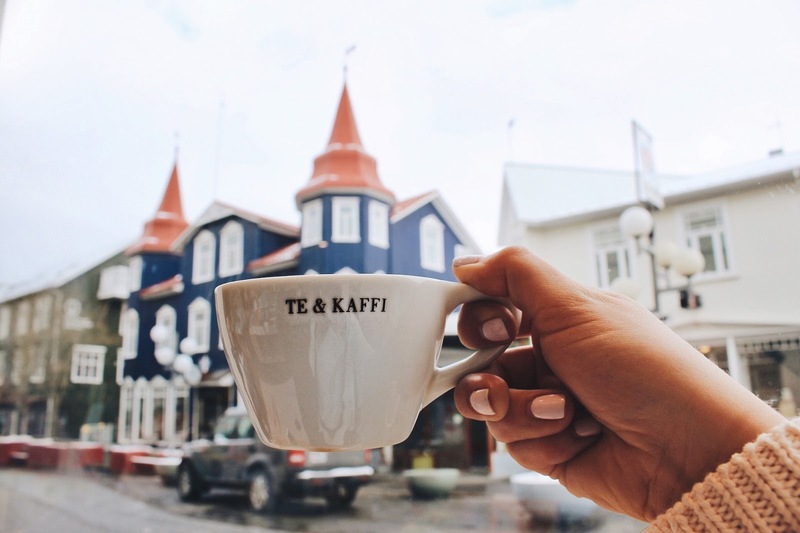 Stop off in the capital of East Iceland, Egilsstaðir, at Cafe Nielsen (Egilsstaðir‘s oldest house) for some afternoon tea or a quick cup of joe before heading out on your drive down the fjords. Because of the winter conditions, we decided on only Seyðisfjörður for the day (and night) mainly because of the small, cute and blue church found there! If you like churches and old-fashioned architecture it is definitely worth the drive out to see. There are also a lot of hikes and you can do weather dependent! We spent the night in Seyðisfjörður at the Hafaldan HI Hostel for about CAD $70. This way we were able to roam freely and not worry about a drive out of the fjord ... until the morning. On the 6th day we were ready to jump head first into an Icelandic thermal bath. Our feet deserved it. But, not before taking a walk around Mars at the Myvatn Hveraröndor Hverir. Like. So. Cool. But smelly. After relaxing in the nature baths we headed on to Akureyri, finishing off our driving for a little while. There is not much around Northen Iceland so you'll want to make your way to Akureyri and call it home for a couple of nights! We stayed at the Akureyri Backpackers for 2 nights, which came to about CAD $100.00 each, PLUS a free beer at their bar! After moving everyday, spend two nights in Akureyri, the capital of North Iceland and the second largest city after Reykjavik! There are tons of things to do in this quaint little city all accessible by foot. And the restaurant scene is endless, so get your hungry on. Visit Akureyrarkirkja, the church designed by Guðjón Samúelsson, who also designed the famous Hallgrímskirkja church in Reykjavik. Venture out to the grass-topped farmhouses (Laufás Turf Homes) that defined Iceland or book a whale watching tour while in town! It's back to that driving grind! Wake up, grab some breaky, chug your coffee and hit the road. It's time to see the most photographed mountain in Iceland. But first head down to Budir where the famous black church lies next to snowy mountains. Keep on heading on towards Hellnar and Arnarstapi which are both old fishing towns that have walking trails between them right beside the coast. You will not be disappointed! Have lunch at the coziest little cafe, Fjoruhusid, and be sure to get their yummy homemade waffles and jam! And then onward to Kirkjufell and Kirkjufellsfoss to see Iceland's iconic mountain. Options are slim in this neck of the woods so many people make the drive back to Reykjavik once they finish Snaefellsnes Peninsula. Don't pass up the chance to stay amongst the natural beauty of Iceland. Kast Guesthouse is the perfect way to end your trip! So why not splurge a little? One night comes to about CAD $90. Sleep in and enjoy your last morning in Iceland before driving back to Reykjavik and hopping on your flight home! Pet that last horse, eat that last hotdog and let the water works begin. Because who wants to leave a place like this? 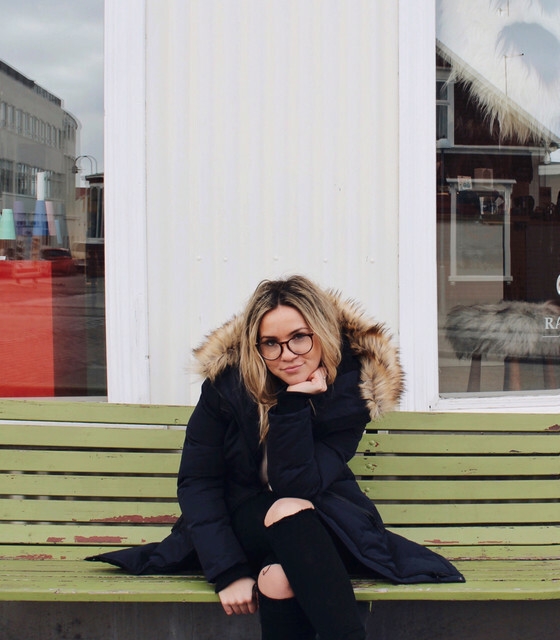 My Iceland Travel Vlog Here!